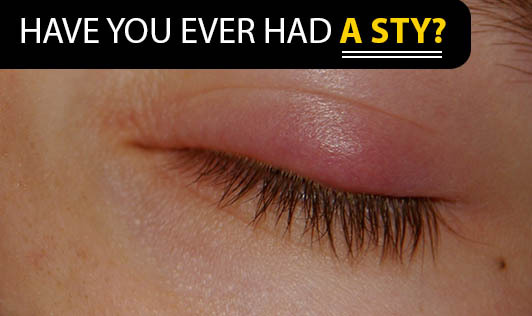 Have you ever had a sty? A sty is a red painful lump near the edge of one's eyelid that may resemble a boil or a pimple, often filled with pus. It is usually formed on the outside of one's eyelid but it can also be formed on the inner part of the eyelid. A sty can be caused due to poor hygiene such as touching your eyes with unwashed hands. This can transfer bacteria to the eyelids and cause eyelid inflammation. The signs and symptoms of a sty include, having a red lump on the eyelid, eyelid pain, swelling, tearing and crusting around the eyelids. Contact your doctor if your sty doesn't improve with self-care measures and you notice redness or swelling on other parts of your face!